Prior to taking up her position at the Faculty of Law, Penelope was a Senior Lecturer in Law at Oxford Brookes University, Oxford, UK. She was called to the British Columbia Bar in 1996 and practiced corporate/commercial law with McCarthy Tétrault LLP. She has also worked in the nongovernmental sector on peace and disarmament issues. Penelope has been engaged in research on corporate human rights accountability for over a decade. In December 1999 she participated in the Canadian Assessment Mission to Sudan (the Harker Mission), appointed by Canada's Minister of Foreign Affairs and International Trade, to investigate allegations of slavery as well as links between oil development in Sudan and violations of human rights. 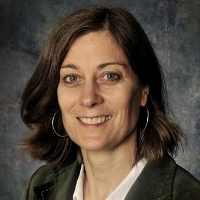 Her current research is focused on the human rights implications of domestic and extraterritorial corporate activity, state responsibility for corporate complicity in human rights violations, as well as the intersections between transnational corporate activity, human rights and international economic law. A Guide for Developing Country Negotiators (Commonwealth Secretariat, 2013), a book that discusses ways in which international investment treaties could be reimagined to address more effectively the sustainable development concerns of party states. Penelope teaches international human rights law, business organizations, public international law and a course on transnational corporations, human rights and international trade and investment law.